Ice, Water, Fuel, Food and Drinks ALL INCLUDED!! 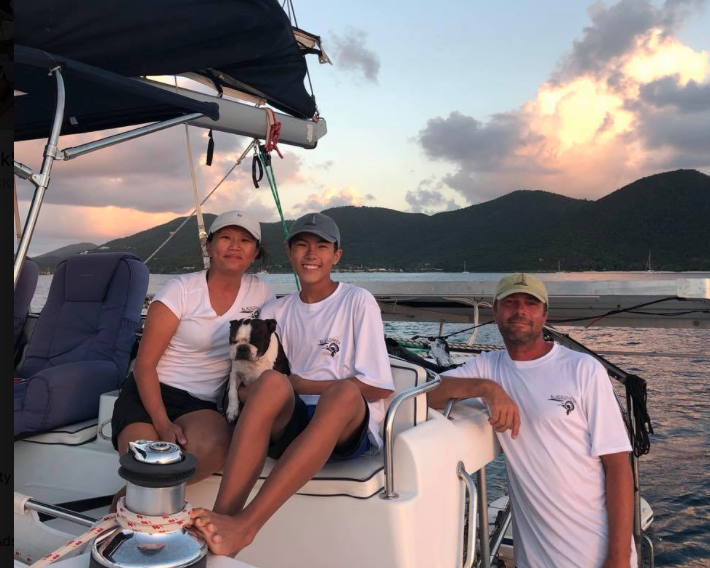 BlackSheep is a Lagoon 44 with flybridge! 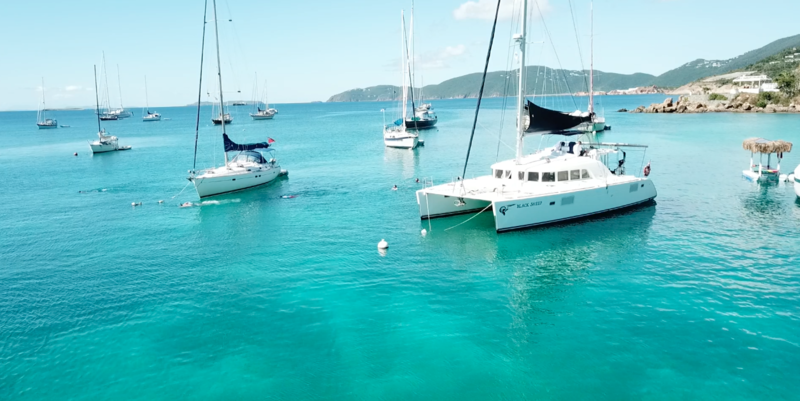 Many areas on board to relax - the huge cockpit seating area with wet bar, the forward bench or the covered flybridge - makes this catamaran the ideal choice for families or groups. 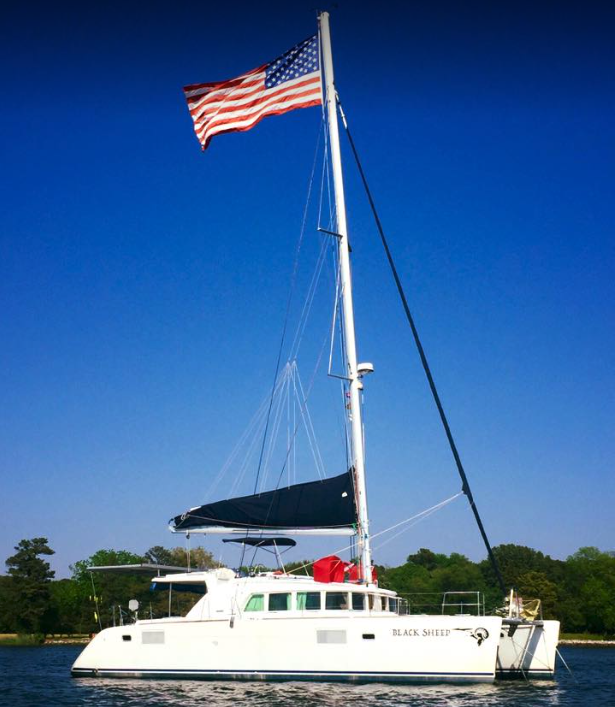 BlackSheep had a refit in 2017 and several upgrades have been added to the standard 4 bedroom charter setup up to include: Forward Starboard berth removed and replaced with full size washer dryer and laundry room, 2 "wet heads" removed and made into full showers with the other 2 heads converted to electric heads, 2,000 watts of solar powering a house bank of lithium batteries which allows 110/220 power at all times, 60 Gal/hr water maker, 4 A/C units, upgraded Garmin 12" touchscreen Chartplotter with integrated auto pilot and folding props. We have plenty of fun activities for you to enjoy: paddle boarding, and snorkeling. Bars and restaurants are just an anchorage away. We supply snorkeling gear and a Garmin underwater camera, as well as DJI mavic drone footage to capture your amazing vacation. Sandy beaches and private lagoons can be explored with the 14' tender and 15hp outboard, that will easily get you out and exploring when at anchor. 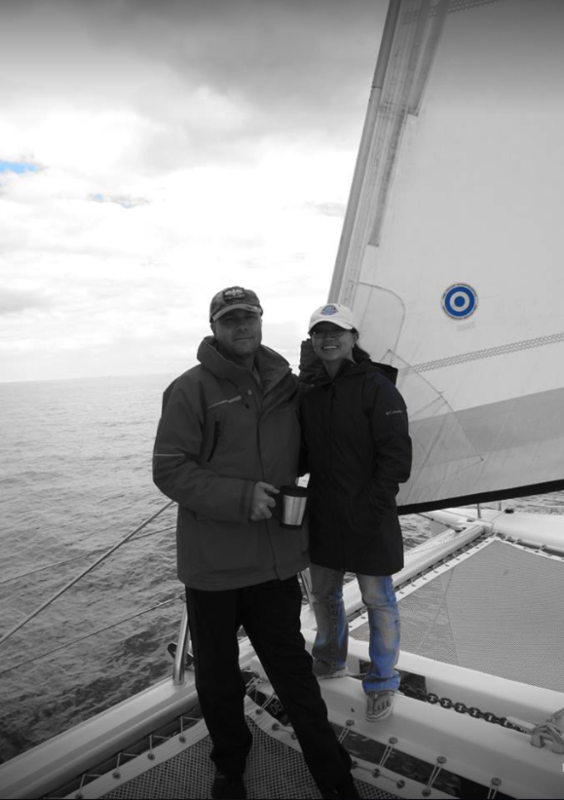 With a complete shift in BlackSheep's plans we are now a FULL service Day Charter Catamaran. We will do very limited term charters so we can focus on what we found to be an exceptional experience for our entire family. We do offer over night trips for parties up to 4 for both the USVI ($1400) and the BVI's ($1900). All inclusive: includes customs for BVI. We are a recently retired Military family pursuing our dreams as full-time live-aboards, and would love to share our experience with other like-minded people. For the past 20 years, our lives have been full of many exciting and fast-paced changes. We have enjoyed such duty stations as Okinawa, Germany, Savannah, Ft Bragg, Ft Benning, Ft Eustis and Washington DC. We enjoy meeting people, making new friends, experiencing new cultures and foods, and just keep moving towards our next new adventures. BlackSheep is now full time DayCharters!! We have made some big changes this year and through business evolution we have decided to change our services from "term" charters to Day Charters! We will continue to offer term charters on a very limited basis but we have decided that we enjoy doing the Day Trips as an entire family. BlackSheep will fill a very unique niche in the Virgin Islands that we believe is not currently being filled. A full service modern Catamaran that is all yours for the day. We don't book "spots" the entire Yacht is your very own. You can take the helm as often, or as little as you want. Whether you are coming out to see if the boat life is for you, or just looking for the perfect vacation day. We have discounted our charter prices through the month of December! We encourage you to customize your day. You can take as much control, or as little, in the planning as you'd like. Thinking of buying a boat? We are your PERFECT fit. I, the Captain, do not pay for any work on my boat. I have extensive knowledge on all systems on BlackSheep. I can explain what worked for us and what didn't. I'd like to share my take on the boat buying process, brokers, boat shows and everything in between. A Caribbean sailing day designed to let you sit back and relax. You can fully engage the tropical beauty that surrounds you; we will prepare your meals at your leisure, while experiencing the best of the Virgin Islands.